On the 16.03.2019 till the end of the season the Easter bunny comes to the region "Hochkönig". For parents who buy at least one 6-days-ski-pass the children till the age of 15 ski free. 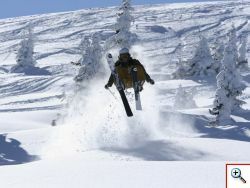 - 6-days ski pass for "Ski amadé"
- 6-days ski pass - "Ski amadé"
offered from 16.03.2019 - end of season! 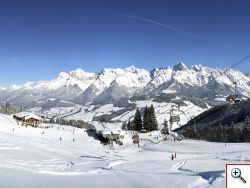 Book this interesting offer and have fun skiing over more than 760 kilometres of slopes in the region "Hochkönig". Alle Damen und Herren mit Geburtsjahrgang 1958 und früher geboren, schwingen günstig in den Winter. Nicht nur die Seilbahnen benützen Sie kostenlos, auch sonst ist jede Menge inklusive. 6 Tages- Skipass Ski amadé GRATIS! Dear ladies bring a friend and use the opportunity to ski free in the famous region "Hochkönig" and get a lot of other interesting price reductions.